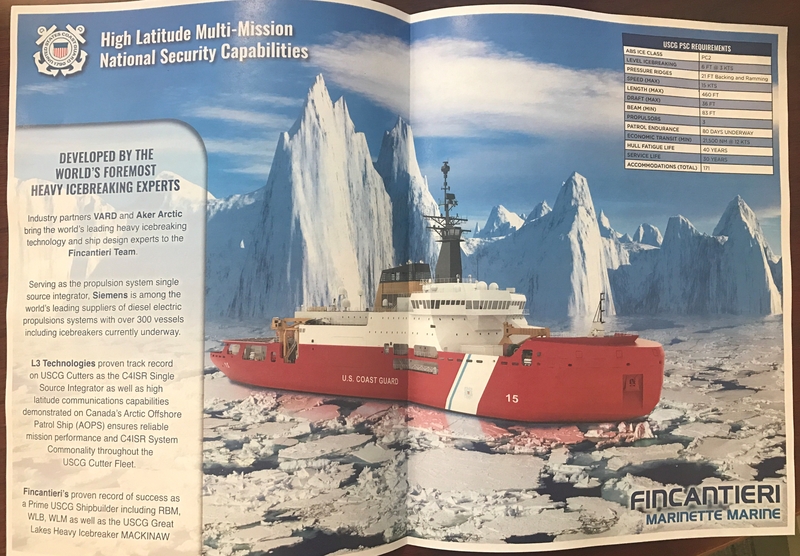 I have not been able to find a complete FY2019 Coast Guard budget as it was signed into law, but we do have at least a partial list of Procurement, Construction, and Improvement appropriations for ships and aircraft based on two Congressional Research Service reports (“Coast Guard Polar Security Cutter (Polar Icebreaker) Program: Background and Issues for Congress” and “Coast Guard Cutter Procurement: Background and Issues for Congress “) and a Homeland Security Today report. That is $1,715M for the items above. This, hopefully, is not all. I don’t have a figure for the Waterways Commerce Cutter (a small figure at this point), no information on unmanned systems, and there should also be money to address the backlog of shoreside improvements, but this does seem to show a recognition of the real needs of the Coast Guard for recapitalization. Looks like the $2+B annually for PC&I the Coast Guard has been saying they need is within reach. If you have been wondering if the $655M allocated for the first Polar Security Cutter was enough, let me set your mind at ease. The original FY2019 request was for $750M and only $655M was included in the budget, so it appears we are $95M short. There is an explanation. Incredibly Mr Ronald O’Rourke has already updated “Coast Guard Polar Security Cutter (Polar Icebreaker) Program: Background and Issues for Congress” (as well as “Coast Guard Cutter Procurement: Background and Issues for Congress “) to reflect passage of the FY2019 budget. A footnote on page 19 of the report on the Polar Security Cutter (PSC) explains. There is also $15M for Service Life Extension work on the Polar Star (see Table 3 on page 35. So, if I understand this correctly, we have $824M for the completion of design work and the construction of the first Polar Security Cutter. Additionally we have $20M for long lead items for the second PSC. If as reported earlier, the first three ships should cost approximately $2.1B, then we have a little over 39% of the funding for the three ship buy. I would really like to see us do a block buy. Congress has authorized it, and the request for proposal asked for Block Buy quotes, so it should not be impossible. Note: Apparently as a result of the Government Shutdown, links to the House of Representative’s Website that have been included in this are no longer available and once you get their error message you will no longer be able to back arrow to this site. You will have to reload. Hopefully these link will be reestablished some time in the future, so I have left them in. I have been unable to relocate some of the quotations below to provide more specific citations so I am going to go ahead and publish without them. Again, I have to apologize for being late in analysis of a Congressional hearing. In this case it is the House Committee on Transportation and Infrastructure’s Subcommittee on the Coast Guard and Maritime Transportation, “Review of Recent GAO Reports on Icebreaker Acquisition and the Need for a National Maritime Strategy” that took place on 29 November, 2018. The video actually begins at minute 21. All five Representatives won reelection, so it is probable we will see them on the Subcommittee next year. Representative Garamendi was clearly excited and optimistic about the becoming chair of the House Sub-Committee. He strongly reports Coast Guard recapitalization. He also expressed a desire to see Rep. Brian Mast return as ranking member. The two topics were essentially unrelated. We have revisited the topic of the Polar Security Cutter/Heavy Polar Icebreaker numerous times. GAO is still contending there are Scheduling and Technological risks. They don’t seem to recognize the steps that have been taken to minimize these risks and that the largest scheduling risk is in delaying the start of the project once the detail design is substantially complete. There is real urgency in the need to replace Polar Star and they don’t seem to recognize that. Yes, the Coast Guard might have done a better job, if we had started this project about a decade earlier, and we might have done that if they had not continued to insist we had to keep our AC&I (now PC&I) budget to about $1.1B, but we can no longer afford more delay to achieve a drawn out, risk free, acquisition process. Mr. O’Rourke once again made the case for block buy vs a contract with options, contrasting the way the Coast Guard has contracted for vessels while the Navy has successfully used Block Buy and Multi-Year contracting for vessels much more complicated than those being procured by the Coast Guard. The need for a National Maritime Strategy reflected a realization that the US ability to transport military reinforcements to a theater of conflict in American ships with American crews seems to be in jeopardy. We discussed this problem and what the Coast Guard could do about it here. Rather than reference the exchange on the video above as I have done before, I will just highlight parts of the two source documents, the “Summary of Subject Matter” (a six page pdf) and Congressional Research Service Naval Expert, Ronald O’Rourke’s prepared statement. The Coast Guard Acquisition Directorate is conducting a tailored technical readiness assessment to update the HPIB cost estimate with an estimated completion of June 30, 2019. The Coast Guard Acquisition Directorate will update the program schedule within three months of the Detail Design and Construction contract award and before awarding construction, as appropriate, with an estimated completion date of September 30, 2019. The Coast Guard Acquisition Directorate is conducting a tailored technical readiness assessment to analyze and determine schedule risks with an estimated completion of June 30, 2019. A Maritime Strategy has not been issued. If it had it would likely need an update given that both the Administration and Geopolitical situation have changed. DOD states that it started the study, which it refers to as the Mobility Capabilities and Requirements Study 2018 (MCRS-18), on March 8, 2018, and that it is scheduled for completion in the fall of 2018…A September 25, 2017, press report about MCRS-18 states that “Since the early 1990s, Pentagon mobility studies have consistently identified a requirement for about 20 million square feet of roll-on/roll-off capacity to quickly transport material in support of a contingency.” Mobility studies conducted from the 1990s until recently, however, were all done in the post-Cold War era, when U.S. military force planning focused to a large degree on potential crises and conflicts against regional military powers such as Iran and North Korea. Given the recent shift from the post-Cold War era to the new era of renewed great power competition and the resulting formal shift in U.S. military force planning toward a primary emphasis on potential challenges posed by China and Russia, it is not clear that MCRS-18 will leave the figure of 20 million square feet of roll-on/roll-off capacity unchanged. A change in this figure could have implications for the content of a new national maritime strategy. We have seen no indication of movement on these documents. GAO notes MARAD’s September 2017 estimate of a potential shortage of U.S.-citizen mariners available to crew U.S.-owned reserve sealift ships during a crisis or conflict. The challenge of finding adequate numbers of appropriately trained mariners to crew DOD sealift ships in time of crisis or conflict is a longstanding issue, dating back at least to 1990, when mariners in their 50s, 60s, and 70s (and one aged 81), some brought out of retirement, were reportedly needed to help fill out the crews of DOD sealift ships that were activated for Operation Desert Shield (the initial phase of the U.S. reaction to Iraq’s 1990 invasion of Kuwait). Problems in filling out ship crews reportedly contributed to delays in activating some RRF sealift ships to participate in the operation. A potential shortage of U.S.-citizen mariners for manning DOD sealift ships in wartime has been a recurring matter of concern since then. My earlier post talks about what the Coast Guard could do to mitigate this shortfall, but the most significant step would be to bring back the Coast Guard ASW mission. Equipping eleven NSCs and 25 OPCs with ASW systems could make a huge difference. Our people are military, but unlike the rest off the military, they are unlikely to get paid January 15. We have an Icebreaker program that enjoys strong bipartisan support in Congress and support from the President, but there is a good possibility it will not get funded this year because of a fight in congress over a totally unrelated program to build a wall along the southern border. About half the Coast Guard’s missions are “Homeland Security” related, but about half are not. Our pay system is different from all the other parts of the Department of Homeland Security. Even the Auxiliary is shut down. There is a movement to fix the pay problem, but that is only a small part of the problem. The Coast Guard has been part of three different Departments. There has never been a perfect fit, because the scope of Coast Guard duties has always extended outside the strict confines of the mission of whatever Department it was part of. The Coast Guard combines military, public service, policing, and regulatory functions. The Coast Guard might have been spun off as an independent agency, but that would have required additional oversight in the form of a service secretary or commission and their staff. In many respects DHS is a good fit, but much of the Coast Guard operates outside the department’s focus and the Department’s budget process is a drag on Coast Guard funding. The funding of the Coast Guard’s new Polar Security Cutter has brought this problem into focus. There is a general recognition that the new icebreaker is urgently needed. It (and the Coast Guard in general) enjoys bipartisan support in Congress and support from the President, but we there is a real possibility no DHS budget will be passed this year. There is too much conflict between the Executive and the House over the wall. We could go the whole fiscal year with nothing better than a series of continuing resolutions that would, as currently understood, preclude starting icebreaker construction. Perhaps the solution is to separate out the Coast Guard budget for separate consideration. Combining the budget with other DHS agencies does not simplify the process, it introduces complications and conflict. A separate budget would provide some of the advantage of an independent agency, without the additional overhead of a separate service secretary and staff. 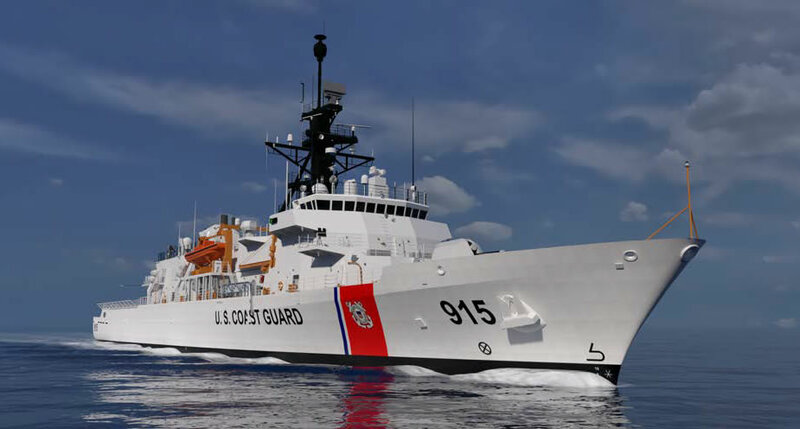 While not as comprehensive a solution, if the sense of the Congress was that the Polar Security Cutter program had already been initiated (small amounts for it was appropriated in FY2017 and 2018) or that the program is simply part of the larger Coast Guard recapitalization program already underway, then its likely there would be sufficient money in a continuing resolution (since the FY2018 Procurement, Construction, and Improvement budget was relatively large) to order the first of class and long lead time items for the second and the project could be started this fiscal year even if no DHS budget is passed. Congress is back in session. It is likely the current Congress will attempt to complete the Department of Homeland Security (DHS) Budget before the new Congress is seated in January. On October 11, 2018, the Senate Subcommittee on Oceans, Atmosphere, Fisheries, and Coast Guard held a public hearing entitled, “The Future of the Fleets: Coast Guard and NOAA Ship Recapitalization.” I feel I have been remiss in not talking about this earlier, but the topics are still in question and it appears all the major players in the sub-committee will be returning next year, although committee assignments may change. Despite the name of the hearing, the NOAA representative was unable to attend, so the entire hearing was about Coast Guard programs. Unfortunately the hearing video was not posted on YouTube so I was unable to post it here. The Commerce Committee website with the video of the hearing, list of witnesses, and links to the prepared statements is here. I’d like to call attention to the Congressional Research Service’s evaluation of the Coast Guard’s shipbuilding programs in the form of Mr. Ronald O’Rourke’s prepared testimony for the hearing. It is relatively short at 21 pages, and covers the Waterways Commerce Cutter (Inland tenders) and Polar Security Cutter (Heavy Polar Icebreaker) as well as the National Security Cutter (NSC), Offshore Patrol Cutter (OPC), and Fast Response Cutter (FRC) programs. As he has done frequently in the past, he makes the case for procuring cutters using Block Buy or Multi-Year Procurement as the Navy has done in some of its most successful Program. I have a hard time understanding why the Coast Guard has not taken advantage of this option. We had an opportunity to do it with the NSC, another with the FRC. Now we have the option of using Block Buy for the Polar Security Cutter (heavy polar icebreaker) and Offshore Patrol Cutter (OPC). The recent Coast Guard Authorization Bill includes authorization to use Block Buy. Senator Baldwin pushes “Made in America Shipbuilding Act” advocating that components as well as the ships themselves be made in America. 20:30 Admiral Haycock’s prepared statement begins. 26:00 GAO Ms. Marie Mak Director, Contracting and National Security Acquisitions, Government Accountability Office began her prepared statement. Mrs Mak of GAO is again saying we have not made a good business case for the new icebreaker and that our planning is short term. Pointed to the Navy 30 year shipbuilding plan as a good example of long term planning. Mr. O’Rourke pointed out that using Multi-Year contracting to procure the Offshore Patrol Cutters could save us $1B, enough to pay for the Polar Security Cutter (PSC or Polar Icebreaker) or the entire Waterways Commerce Cutter program. He discussed increasing rate of OPC procurement. He noted that there had been a reduction in the estimated cost of the Polar Icebreaker from an initial estimate of $1B to a projected cost of $2.1B for three ships. From pages three and four of his prepared statement. In connection with my work on ship acquisition, I maintain the CRS report on multiyear procurement (MYP) and block buy contracting. In both that report and in testimony I have given to other committees in recent years on Coast Guard ship acquisition, I have noted the stark contrast between the Navy— which uses multiyear contracting (in the form of MYP or block buy contracting) extensively to reduce its ship- and aircraft-procurement costs by billions of dollars—and the Coast Guard, which to date has never used multiyear contracting in one of its ship or aircraft acquisition programs. The Navy in recent years, with congressional approval, has used multiyear contracting for, among other things, all three of its year-to-year shipbuilding programs—the Virginia-class attack submarine program, the DDG-51 destroyer program, and the Littoral Combat Ship (LCS) program. The Navy has been using multiyear contracting for the Virginia-class and DDG-51 programs more or less continuously since the 1990s. Savings from the use of MYP recently have, among other things, helped Congress and the Navy to convert a nine-ship buy of DDG-51 class destroyers in FY2013-FY2017 into a 10-ship buy, and a nine ship buy of Virginia-class attack submarines in FY2014-FY2018 into a 10-ship buy. The Navy is also now using block buy contracting in the John Lewis (TAO-205) class oiler program, and is considering or anticipating using them for procuring LPD-17 Flight II amphibious ships, FFG(X) frigates, and Columbia-class ballistic missile submarines. The Navy’s use or prospective use of multiyear contracting for its year-to-year shipbuilding programs is arguably now almost more of a rule than an exception in Navy shipbuilding. 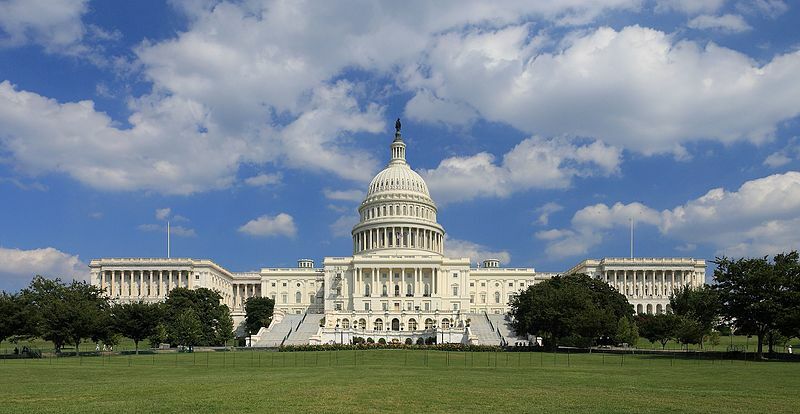 For Congress, granting approval for using multiyear contracting involves certain tradeoffs, particularly in connection with retaining year-to-year control of funding. In the case of Navy shipbuilding, Congress has repeatedly accepted these tradeoffs. In contrast with Navy practice, the Coast Guard often uses contracts with options in its ship-procurement programs. Contracts with options can be referred to as multiple-year contracts, but they are not multiyear contracts. Instead, contracts with options operate more like annual contracts, and they cannot achieve the kinds of savings that are possible with multiyear contracts. Like the other military services, the Coast Guard has statutory authority to use MYP contracting and can be granted authority by Congress to use block buy contracting. Questioning began time 33:00 I will try to summarize some of the discussion, but this is in no way complete. 33:30 questioned how the CG could meet increasing challenges with nearly 14,000 fewer major cutter OP Hours. RAdm Haycock says new assets are more capable. (He might have noted that FRCs are more capable than Island class and can conduct some missions previously conducted only by major cutters.) He did favorably compare FRCs with existing 110s in Alaska, but perhaps missed an opportunity to push for more assets and/or higher rate of construction. 37:30 Senator Sullivan push to use shipyard in Ketchikan. 42:30 Why are we using predominately foreign made outboards rather than Mercury or Evinrude which are made Wisconsin? Ans. We want to use American made products, but we also employ competition. We could create a demand signal that is not sustainable. Builders choose components, but must comply with Buy American requirements. Suggestion that perhaps we could lease. Ans. Design time has decreased as has price due to Navy assistance and use of parent design. Ship and power plant can be smaller than previously thought without loss of capability. Icebreaker will be based on Parent design. Cooperation with the Canadians. This has shortened time line and cost has come down. There are still some risks. 59:30 We have looked exhaustively at foreign designs. Our missions are very different. Our design will be based on yet unbuilt Canadian design (CCGS Diefenbaker). Great Lakes Icebreaker–not enough resources, push to build a Great Lakes Icebreaker at least as capable as Mackinaw, some funding provided for design of a Great Lakes icebreaker, what are we doing? We are looking at requirements. 140s are going through service life extension. 1:04:40 More on made in American requirements. Ans. Sometime foreign made components can be problematic over lifecycle. The Senator pushing for 12th NSCs. 1:09:00 Polar Security Cutter, what about the fact funding is not included in House budget? Ans. Will impact scheduling and the interest of the industrial base. Concern about opioids, what additional assets do we need? Talked about Unmanned Air Systems but really did not specifically address opioids intel which I would assume has more to do with importation by merchant ships through our ports. 1:15:00 CG museum. Committed to location at New London. 1:20:00 Specifically referenced need to buy propulsion pods for Polar Security Cutter from Scandinavia. 1:21:30 Timeline for Inland tenders? Possibility of using parent craft? Our needs are different. Have to have more people because of our missions, we need more range, mixed gender birthing. Probably nine months to complete analysis and a year before we start to contract. In service 2023. We are moving as fast as we can.